text to images (Windows "paint/Paintbox" works fine. Then print out the results. "Timing" is easy, each vertical blue line advancing like clockwork. 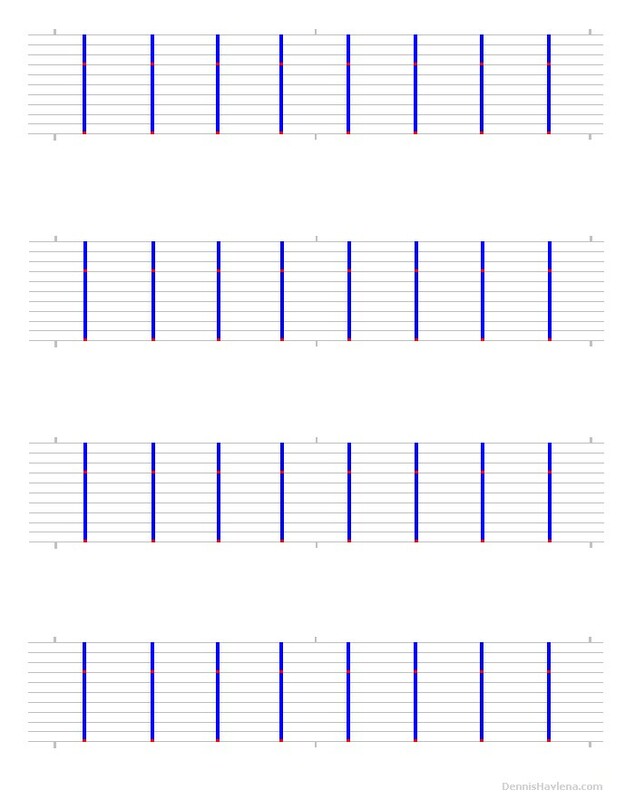 "Rests" are indicated by vacant blue line(s) . notes on the instrument (ie: four octaves of "F" for an "F" tuned kora). I make the left-side notes in red and the right-side notes in black. Please let me know your thoughts or ideas. all of the various kora tab ideas?? Might be useful. 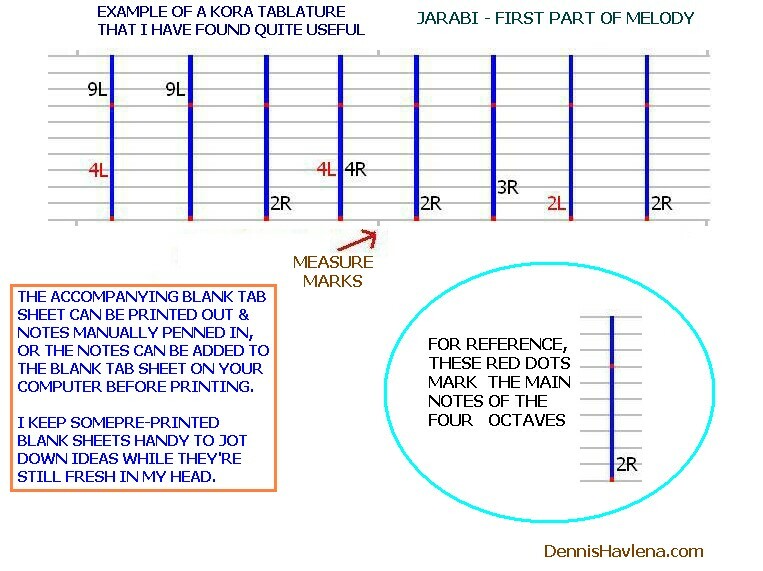 PS: Another subject: "Fine-tuners for kora". Been mentally & "workbench"